This week the Warren and Youngstown LMCCs were able to spread some Christmas cheer for two local Veterans who have fallen on some hard times. A group of contractors and IBEW representatives invited Dana Cianciola and Christina Williams, both of Youngstown, to the Youngstown Area Electrical JATC to present them with gift cards to purchase wish list items for their children. 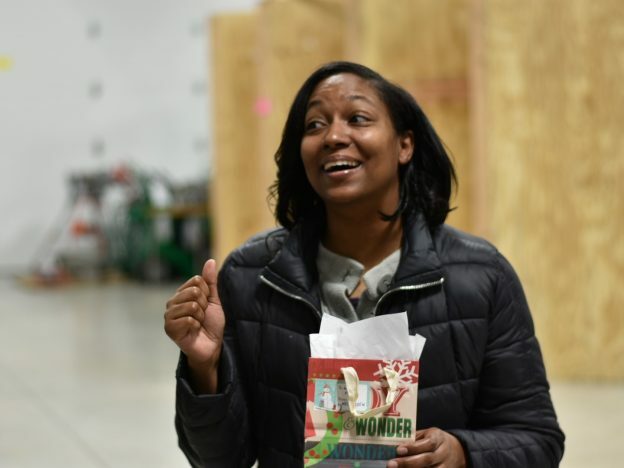 Christina Williams reacts to receiving gift cards from the electricians that will help her provide gifts for her children at Christmas. Williams is a US Army Veteran. John Rafoth had just finished an electrical engineering technology degree from YSU and was about to move to Florida to start a pressure washing business. Instead, he applied to the electrician apprenticeship program before leaving. He decided if he was accepted into the program, he would stay in town. Having worked through high school for a lighting maintenance company, he’d already gotten a first-hand taste of the trade, as well as some foundational skills. 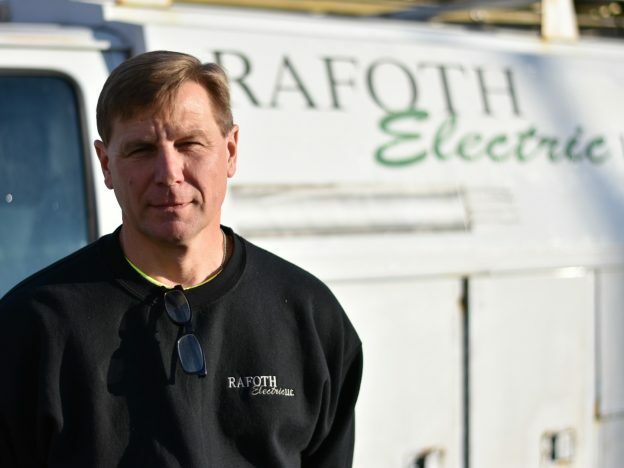 That helped him get accepted into the commercial electrician program through the Youngstown Area Electrical JATC, the first year it had been expanded to five years. Nearly 70 years separate when Joe Dickey and his grandson, Jared Miller, enlisted in the service, but they share many similar experiences, viewpoints and an unbreakable bond as U.S. Veterans that goes beyond family. Further, they share a career path. 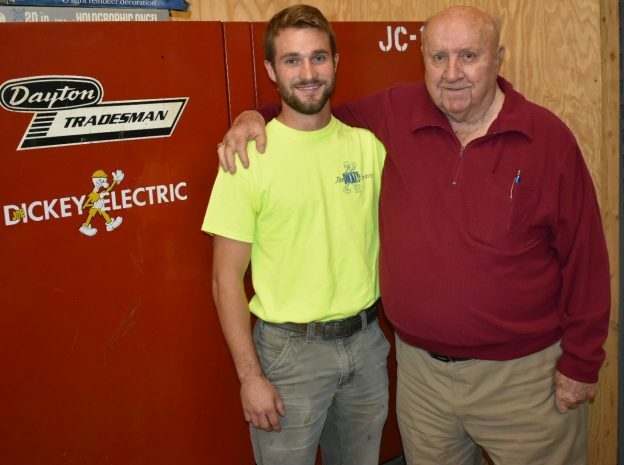 Joe as the long-time owner of “Joe” Dickey Electric and Jared as a second-year electrician apprentice with the Youngstown Area Electrical JATC. As we mark Veterans Day on Nov. 10 we asked Joe and Jared for their thoughts on how Veterans are revered in today’s society and what American citizens can do to honor the service of our Veterans. No comments by Sly yet.